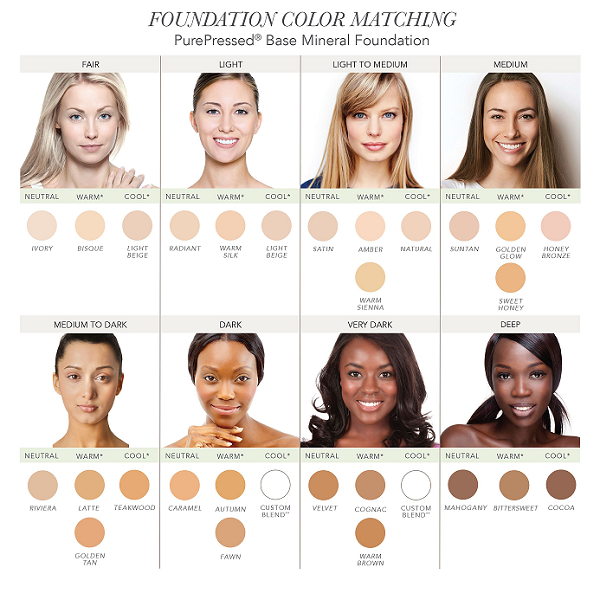 Amazing Base SPF 20 is a concealer, foundation, powder and sunscreen all in one. 100% light diffusing, soft focus minerals. No oil, talc, FD&C dyes or parabens. On clean, moisturized skin, apply the loose powders with our Chisel Powder Brush. Apply in thin layers. Our bases are concentrated pigment so a little goes a long way. 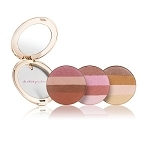 Because the minerals reflect light, they have a much wider color tolerance than most makeup. You will never see where they begin and end. This is a wonderful product which gives a light coating of your favorite color to your face. I use it in a powder brush, the kind you refill, and it works beautifully! Astonishing Skin Care is my "go to" online store for beauty products. They kindly included with my order a sample set of Dermalogica facial care products (which I also love). I highly recommend this company! I've used this product for years and will continue to use it. People seldom think I'm wearing makeup. I have a lot of discoloration so this is saying a lot. 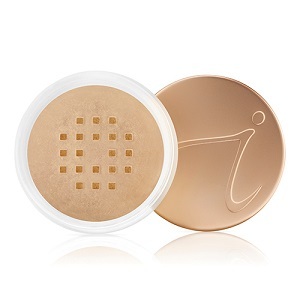 Love Jane Iredale products, love them!! This is the best base I have ever used. 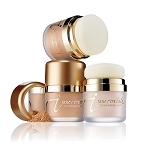 Good and even coverage yet lightweight, easy and quick to apply. I recommend topping it off with the hydration spray to give it a more radiant finish. I absolutely love this foundation! It is light, easy to apply, and travels well (the case is sturdy and doesn't crack if squished in a suitcase). I have slight redness around my nose from Rosacea and this foundation covers it perfectly and doesn't cause any breakouts. This product truly is Amazing! 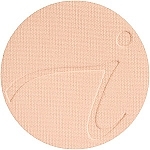 Love, love, love my Jane Airedale Amazing Base Loose powder. I have been using it exclusively for years upon the recommendation of my dermatologist. It is so much better than liquid foundation. Goes on beautifully with a large makeup brush, stays on all day. Light, flawless coverage. It took a little getting use to the idea of not caking all that stuff on my face, but not seeing makeup in wrinkles and just the dewy look was plenty of insentive to continue. I've tried several other mineral based powders in order to save some money, but believe me, there is a huge difference. Also, I made the mistake of ordering off Amazon once and it was very obvious the product was NOT Jane Iredale! I can say natural and radiant. It's the description for this Jane Iredale makeup. I love it! I have used this product for years and will continue to use it. Covers nicely and very little is needed. Apply with our Chisel Powder Brush on clean skin after moisturizer has been absorbed. Lightly dip brush into powder and use the lid to work it into the brush. The more evenly distributed the minerals are in the brush, the more evenly they will apply to the skin. Begin application where you need the most coverage. Reapply after lengthy sun exposure or excessive perspiration or anytime after towel drying. Active Ingredients: Titanium Dioxide 14%, Zinc Oxide 6%. Ingredients: Mica, Boron Nitride, Zinc Stearate, Dimethicone, Stearic Acid, Plankton Extract, Algae Extract, Punica Granatum (Pomegranate) Extract. May Contain: Iron Oxides, Ultramarines, Chromium Oxide Greens.